The Community Foundation of NCW has awarded a $50,000 Endowment Grant to the Numerica Performing Arts Center (PAC). Offered every other year, this competitive grant is awarded to one nonprofit organization that demonstrates the strength, support, and ability to grow an Endowment Fund. An endowment provides long-term sustainability for an organization through an annual stream of income that grows over time. As gifts to the Endowment Fund increase, so does the income. Endowment Grant applicants were reviewed on a number of criteria, including service to community, financial stability, strategic planning, fundraising capacity, and the impact an Endowment Fund would make on their organization. An Endowment Grant Committee comprised of foundation staff and board members selected five finalists who then participated in an in-depth interview with the committee for final evaluation. The other finalists were the Chelan-Douglas Land Trust, NCW Business Loan Fund, Wenatchee Valley YMCA, and the Women’s Resource Center. 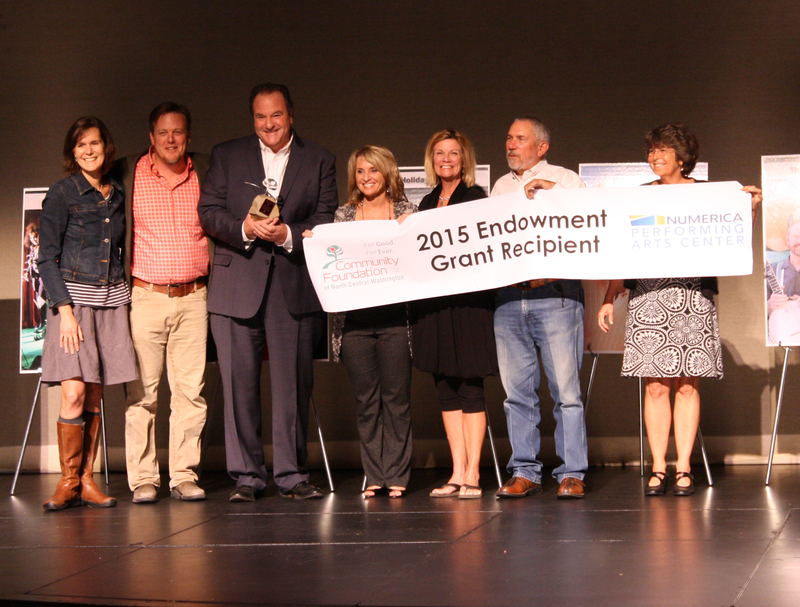 The Endowment Grant was awarded at the Numerica PAC’s Annual Patron Meeting on September 25, in surprise fashion to Matt Cadman, Executive Director, board members and patrons in attendance. Community Foundation staff and board members appeared onstage during the meeting with the award. The next opportunity for an Endowment Grant will open in February of 2016. The Community Foundation of NCW has announced the five finalists for a $50,000 Endowment Grant: Chelan-Douglas Land Trust, and the Numerica Performing Arts Center, NCW Business Loan Fund, Wenatchee Valley YMCA, and the Women’s Resource Center. The Endowment Grant will provide one organization with a $50,000 endowment fund at the foundation. An endowment fund provides long-term sustainability for an organization through an annual stream of income. The principal of the fund is invested, with an annual disbursement back to the organization based on a spending policy, typically around 5% of the fund. Grant applicants were asked to respond to various operating aspects of their organizations, such as service to community, financial stability, strategic planning, fundraising capacity, the impact an endowment fund would make on their organization, and plans for growth. The Endowment Grant award recommendation will be brought to the board on September 16th and the final award recipient will be announced September 17th. For more information on the Endowment Grant and other Community Foundation grant opportunities, visit www.cfncw.org/grants. The Community Foundation of NCW has invested $100,000 from its general fund toward long-term recovery efforts for fire relief victims in Okanogan County. The funds will be used to employ Disaster Case Managers that will work with individuals to access resources and determine options available for those that have been displaced from their homes and workplace. The Disaster Case Managers will be stationed at three locations: Okanogan Community Action Council in (OCAC) in Okanogan, Room One in Twisp, and the Multi-Agency Resource Center (MARC) in Pateros. Disaster Case Managers are important to long-term recovery, which can span several months to a couple of years. Victims can work with one manager throughout their recovery – only having to tell their story one time – and receive personal, one-on-one assistance. Disaster Case Managers are skilled and trained to offer guidance through processes and paperwork that is often necessary to apply for loans, financial aid, and provide information on resources available and how to access them. The number of Disaster Case Managers is still to be determined and will depend on case load. The foundation will work closely with the Disaster Case Managers to determine additional needs for victims and use that data to develop criteria that allows for fair and equitable disbursement of donations to directly support victims. These direct-support funds would come from the NCW Fire Relief Fund, which has received $234,720 in donations and continues to grow, thanks to ongoing contributions and community fundraisers. 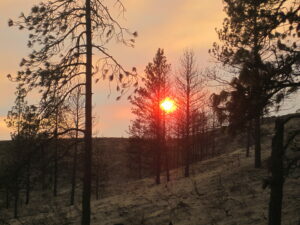 For more information and to stay updated on the NCW Fire Relief Fund efforts, visit www.cfncw.org/firerelieffund. 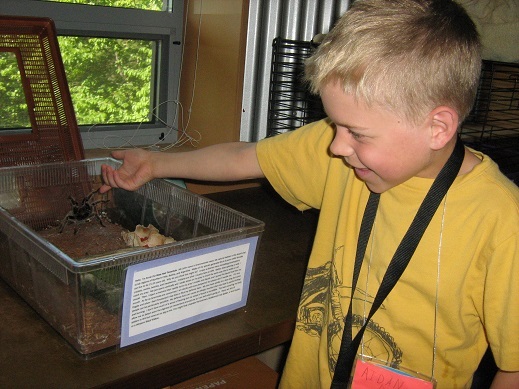 The Wenatchee River Institute was awarded $4,000 to support Youth Education Field Days that expose children to science through fun, hands-on activities. The Community Foundation of NCW has awarded $136,125 in Regional Impact Grants to 43 nonprofits across North Central Washington. Regional Impact Grants provide up to $5,000 for nonprofit programs that work to meet community needs and enhancements in Chelan, Douglas, and Okanogan counties. A competitive grant program offered in the Spring and Fall, Regional Impact Grants provide one of the only grant funding resources for many of these nonprofit organizations. This year the foundation received a record 69 applications. Each applicant is visited by a team of staff and board members to learn more about the proposed projects and are evaluated using a rated scoring sheet; final awards are approved by the board of trustees. The foundation received $20,000 from an anonymous donor at the Seattle Foundation to be directed toward the Regional Impact Grants. In addition, the new Partners in Giving program allocated $5,000 to help increase the grant awards. Partners in Giving provides businesses, families, and individuals who aren’t ready to open a fund an opportunity to support the work of the foundation. The foundation recognizes and appreciates the generosity of both gifts that increased capacity to fund Regional Impact Grant awards by 23%. The foundation is now accepting applications for Fall Regional Impact Grants at www.cfncw.org/grants. Deadline is September 1. The Community Foundation of NCW has awarded $469,000 in scholarships to students across North Central Washington – the highest amount ever awarded by the foundation. The foundation received 1,466 applications, another record amount, with 165 students receiving one or more awards. The foundation manages 90 scholarship awards with varying criteria established by donors. Some focus on areas of study, while others focus on academic achievement, community leadership, first-generation going to college, or providing financial aid to those who need it most. The scholarship applications are reviewed by committees comprised of volunteers across the region. This year, 216 volunteers reviewed applications then met with their committees to determine award finalists that are approved by the foundation’s board of trustees. The foundation would like to recognize members of its Partners in Giving program which provided $1,500 in additional awards through a “scholarships roundup”, which rounds awards up to the nearest $50. Partners in Giving is a program designed for businesses, families, and individuals who want to support the work of the foundation but aren’t ready to open a fund. Applications for 2015 Scholarships will be available on our website in early December. For more information, visit www.cfncw.org/scholarships. Seminars and workshops for music educators and arts professionals. The Woods Family Music and Arts Grant application is an online grant process that is managed by a third-party, Common Grant Application. Directions on how to apply along with a video tutorial are available on the Woods Family Music and Arts Grant webpage. Applications are due by the end of business on Tuesday, September 30th. Visit www.cfncw.org/grants to learn more and apply. 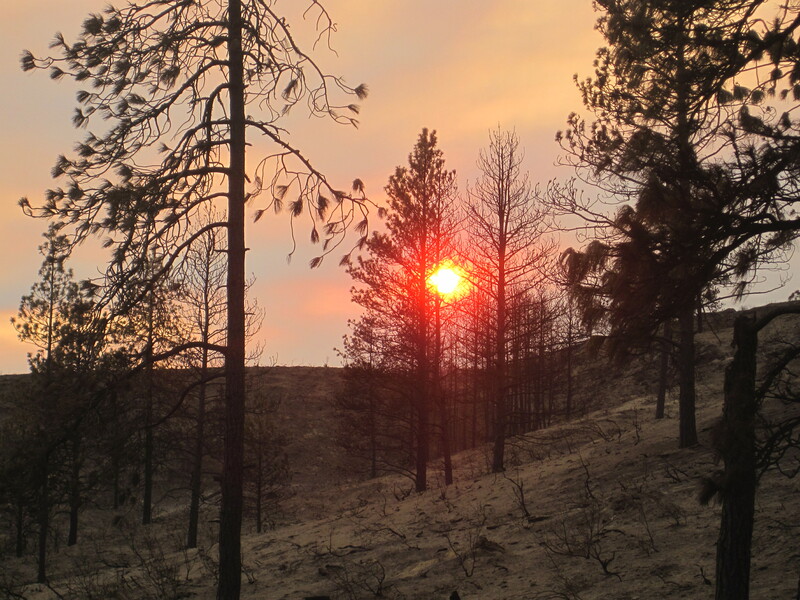 The Community Foundation of NCW has established a Fire Relief Fund to assist those who have been affected by the devastating fires raging throughout North Central Washington, according to an announcement made today by Beth Stipe, Executive Director of the Foundation. “We are working with our nonprofit partners throughout the region to ensure that there are adequate resources to assist both the short and long term recovery needs of those in our region who have been affected by the fires. In times like these, the people of North Central Washington – a resilient group of folks – are there to help their neighbors. This fund will be used to help both short term immediate needs of fire victims, but also to help long term needs of recovery” said Stipe. In situations like the Charlton Complex Fire, the most effective method of assisting those impacted by the fire is through monetary donations to organizations that specialize in supporting local disasters. CFNCW encourages donors to support the local chapter of the American Red Cross who is working on immediate needs. The Community Foundation of NCW is pleased to announce the addition of four new board members: Deborah Hartl, Ken Jackson, Eliot Scull, and Peter Valaas. 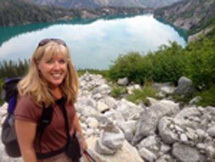 Deborah Hartl is the Human Resources Director at the Sleeping Lady Mountain Resort and Icicle Broadcasting, Executive Director of the Sleeping Lady Foundation, and serves as assistant to Leavenworth business owner and philanthropist, Harriet Builitt. Prior to her current employment, Deborah worked for the Washington State Apple Commission for 10 years. A Leavenworth resident for nearly 30 years, Deborah lives with her husband Bill, who retired from the US Forest Service; together they have one son. Deborah is a member and past president of Wenatchee Valley Personnel Managers Group, member and past-president of the Leavenworth Rotary Club, and member and past church council president of Grace Lutheran Church in Cashmere. Deborah enjoys hiking, running, reading, and time with her family. Ken Jackson is an Orchardist that has lived in the Upper Valley for 30 years. He holds a Bachelor’s degree from Western Washington University and is an active volunteer in his profession and community. He currently serves as a board member for the Oregon-Washington Canned Pear Association, an alternate board member for the Pear Bureau, member of the Cashmere Rotary, member of the Washington Farm Bureau and Horticulture Association, and past board member and chairman of the Cashmere School Board. 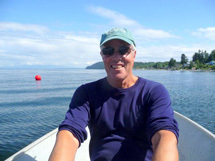 Ken enjoys traveling, skiing, a nice restaurant, and time at Lake Chelan with his family. Eliot Scull is a retired Ophthalmologist and fell in love with the Northwest after working as a rafting guide in the middle fork of the Salmon River in 1960. He moved to Wenatchee in 1975 with his wife, Tina, after serving as a Navy Flight Surgeon in the Vietnam War. Eliot has a strong belief in supporting one’s community and has been involved in several volunteer positions, including the Chelan-Douglas Land Trust. His passions are focused toward conservation and public recreation. 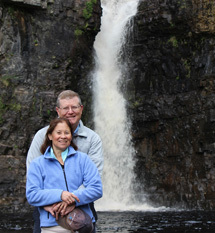 Eliot is an outdoor enthusiast who enjoys hiking and kayaking both near and far. Peter Valaas is a fourth generation Wenatchee Valley resident who has spent the past 30 years as a staff anesthesiologist for Confluence Health in Wenatchee. He is active in the Nordic Skiing community and has served many volunteer positions including the Leavenworth Winter Sports Club Board, President of the Hog Loppet Association, and current Chair of the Washington State Parks Winter Recreation Advisory Committee. Professionally, Peter is a recent past-president of Wenatchee Anesthesia Associates. Peter enjoys skiing, hiking, is a bicycle commuter, and has been known to narrate the annual ice skating show with the Wenatchee Figure Skating Club. He and his wife Susan reside in Wenatchee and have one son and two daughters. The foundation also announces the succession of Board of Trustee Officers with Katie Kavanaugh Pauly who will now serve as Chair, Ken Marson as Vice Chair, and Gil Sparks as Secretary/Treasurer. Katie is an active community volunteer and resides in Wenatchee; Ken Marson is owner of Marson & Marson Lumber, Inc. in Leavneworth; and Gil is an attorney at Ogden Murphy Wallace and resides in East Wenatchee. All Trustee Officers are committed to serve a 3-year term in each succeeding position. The foundation gratefully acknowledges Kristine Taylor, Senior VP/Investments at Stifel Nicolaus, for her commitment, dedication, and completion of her term as Board Chair – thank you, Kris!! For a full listing of Community Foundation Board of Trustees, click here. 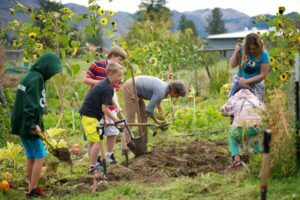 The Community Foundation of NCW has awarded $43,955 in grants from the Methow Valley Fund (MVF) to Methow Valley nonprofits. Managed by the foundation, The MVF was established in 2006 to meet the needs of the Methow Valley community and assist nonprofit and public organizations develop strong, sustainable programs. Classrooms in Bloom provides hands-on education integrated through the school’s curriculum through a half acre garden on the high school and elementary school campus in Winthrop. 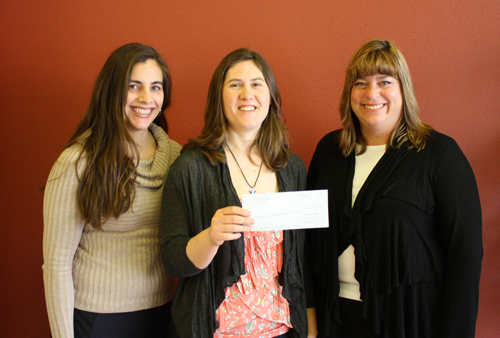 Donations from Methow Valley residents and beyond provide the ability to offer a significant annual grant program. 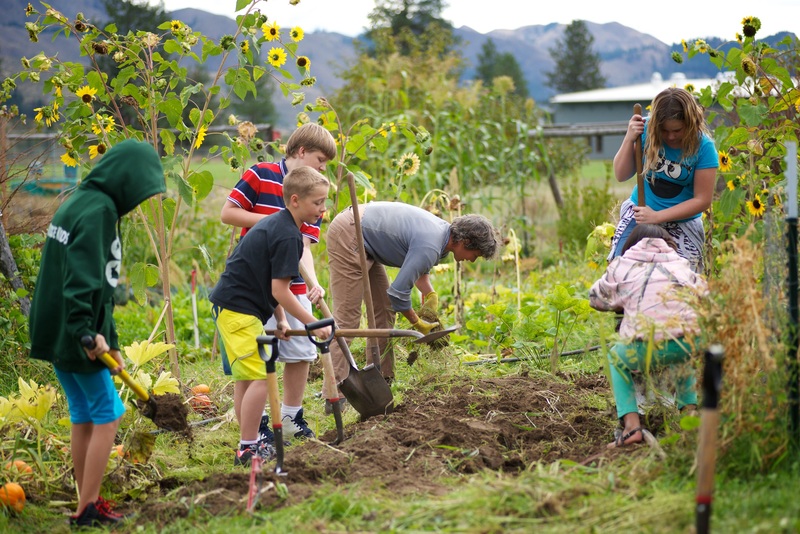 The MVF offers grants up to $5,000 for programs that directly serve the needs of and enhance the Methow Valley. The fund is advised by a diverse group of volunteers that work and live in the valley and are passionate about the charitable work being done in their community. Awards are recommended by the advisory board and approved by the Community Foundation Board of Trustees. Merc Playhouse – $1,500 to support the production of a cowboy-themed version of Shakespeare’s Twelfth Night. Greater Wenatchee Preschool Board Treasurer Suzi Graden, President Stacy Humphries, and Community Foundation Executive Director Beth Stipe. The Greater Wenatchee Parent-Child Preschool (GWPCP) has closed its doors and donated their remaining $62,000 in funds to the Classrooms Can! grant program at the Community Foundation of North Central Washington. Through a partnership with the United Way of Chelan-Douglas Counties and funded by a grant from the Bill & Melinda Gates Foundation, Classrooms Can! provides funding for certified K-12 teachers in Chelan, Douglas and Okanogan counties that supports innovative classroom projects developed to better engage students, especially the hard-to-reach learner. Founded in 1966, the GWPCP was formed to meet a need in the community that didn’t exist: a cooperative preschool model that included parent involvement. The preschool had to close its doors in September 2013 due to low enrollment, not because of any fiscal issues. The money came from families and businesses that supported the school and its mission. As a nonprofit entity, GWPCP was required to move any leftover funds to another nonprofit, and they felt supporting the Classrooms Can! program at the foundation was the best fit. Another part of their decision was that the preschool’s model was “learning through play”. Classrooms Can! grants encourage teachers to develop projects that are interactive and make learning fun, getting kids excited about coming to school. Last year, Classrooms Can! awarded $47,000 in grants to schools across the region. The deadline for the 2014 grants was April 1st – recipients of those awards will be announced in May and projects will be implemented in the Fall of 2014. The funds received by the GWPCP will begin supporting projects in 2015. Applications for the next round of awards will open in January 2015. To learn more, visit www.cfncw.org/classroomscan.